Natural single track by the old lava. 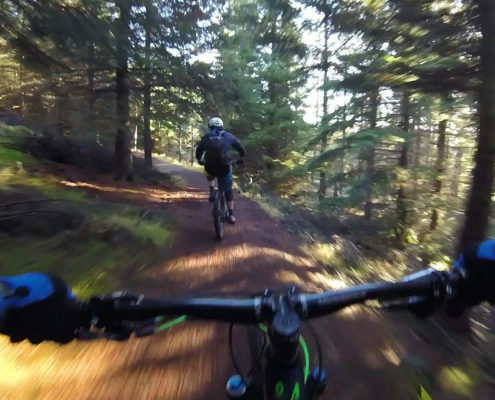 A blend of narrow rocky technical singletrack and flowy sections. This ever-changing natural single track lies by the side of a 5.000 year old lava field. A local’s favourite XC trail. Caves, moonscapes & lava fields. We designed this trip to create one that riders of all skill level will enjoy. Our guides will step it up for intermediate riders or go to easier trails for newcomers. NOTE! This trip can be customised from beginner to intermediate xc riding. 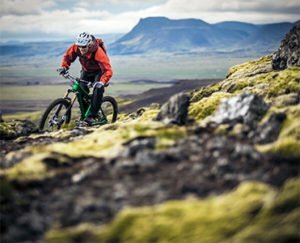 Get a Taste of the Local Reykjavík Trails . 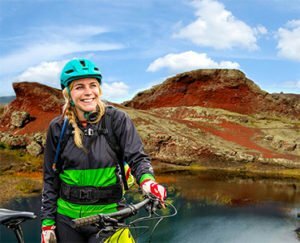 This trip is ideal for anyone that wants a break from the city center and to get a new perspective of Reykjavík. Feel the wind in your hair and smile on your face. From the urban to the center, through the green areas of Reykjavik. This trip is great for riders of all skill levels. 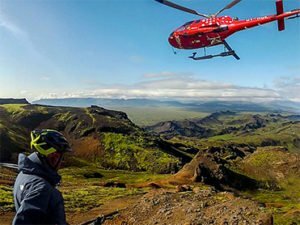 Volcano Heli-biking, Enduro buffet for the experienced AM rider! Go big, or go home. 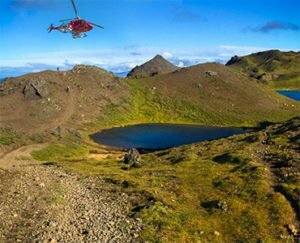 This is an epic day of heli-biking in the geothermal region of dormant volcano Hengill. We start our ride far away from the crowds. For riders with technical trail experience and strong stamina. A fun day of helibiking exploring lavafields from above and the ground. Land on neighbouring dormant volcano where we jump on the bike and start a sweet easy descent passing volcanic lakes and craters. ending in a unique fissure. This is the ultimate AM day trip! For the experienced Enduro rider, this day incl technical features and stunning scenery. 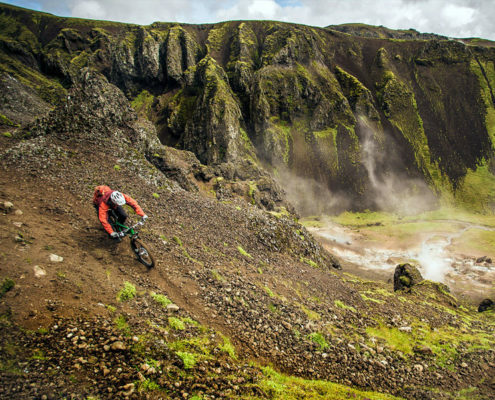 Ride the tectonic plates where Iceland is ripping apart. This day is all about challenging hike a bike sections rewarded with fun fast enduro descent.